As gamers, many of us take things out of proportion, often delving deeper into a game then initially intended. We look for deeper answers or secrets that don’t even exist. Often many of us even analyze a mere section or a selection of words to such an amount that we find things that the developer did not indent to have in the game. We go beyond what the developers even thought about and move into an unknown territory where our own thoughts are the Kings or Queens. Before I continue on this, the basic point of this article is that gamers look to deeply into the words of a specific thing or even something that is as far from the open ending topic. The idea of open to interpretation games is being used more and more these days, and this article will take a deeper look into the best examples of open-ended games. Probably the most known is the Legend of Zelda fan base, which more particularly is over analyzing games and going deeper into the stories and ideas then is necessary. 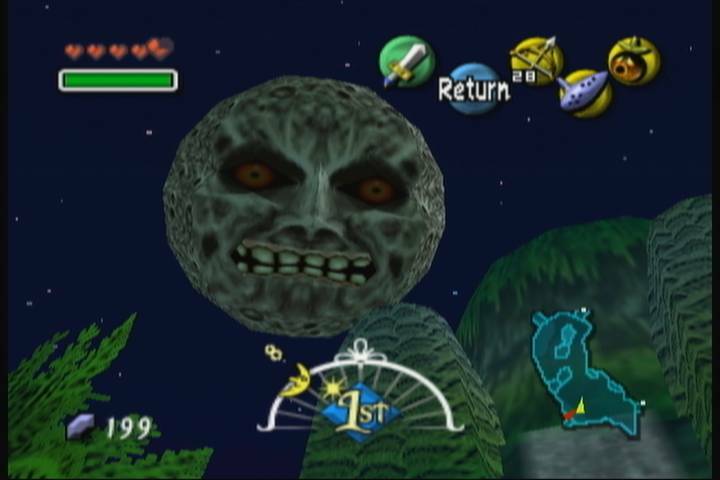 The ideas considered however are quite interesting, moving into the ideas of Link being dead in Majoras Mask and each area of Termina representing the five stages of grief. Does this idea hurt the game? Well of course not. I like the idea of fan speculation as often we can have ideas for our own playthroughs and we in turn continue to create our own universe that further expands the pre conceived ideas of said game world. The number of articles people have written on a theory or over analysis is astonishing, but it shows the power of games as a story. There are a number of us in the world who have spent many hours looking into very specific quotes in Ocarina of a Time and building onto it to find new meaning. We consider the very world of the Last of Us and the bond of the two characters, sometimes it just comes down to how we as the player interpret the relationship of two major characters. Still referencing The Legend of Zelda, I was what attached to Skyward Sword. The main idea was about interpreting some of the words used and the very actions or movements that the two characters made about or to each other. Link is but an empty vessel (we have been told that on a variety of occasions), he is merely just for the player to control as they try to save this world. However, unintentionally this is probably the most alive Link we have had to date. 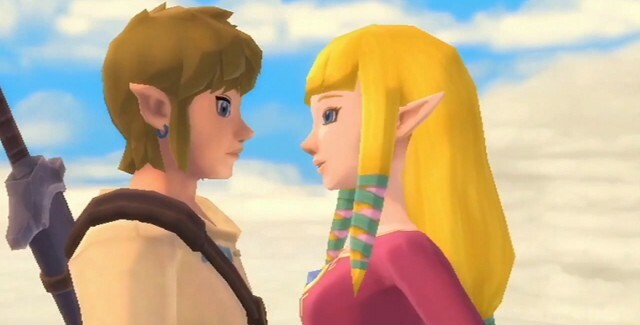 In the first hour or so we get introduced to the bonds of the two characters Link and Zelda, learning of their past, their present and while meanwhile receiving subtle hints as to their feelings for one another. It could possibly be translated differently into saying they are just really close friends but I feel the interpretation made of them being in love with each other to be much more suitable. The way Zelda is protective of Link and worries for him is representative of how much she cares, not to mention the way she acts around Link and some of the actions performed by Zelda do further go along with this interpretation. It is because of this connection that the player can interpret that a further motivation can be brought about in regards to wanting to save Zelda, no matter how annoyed the player can get the idea of caring and wanting to save Zelda for Link is a good motivation that drives for the entirety of the story. Likewise other interpretations can possibly be made and Skyward Sword is just one example of a well interpreted story but several other games have likewise done this and in a sense I go back to my previous thoughts of they further enhance the story and tell more. 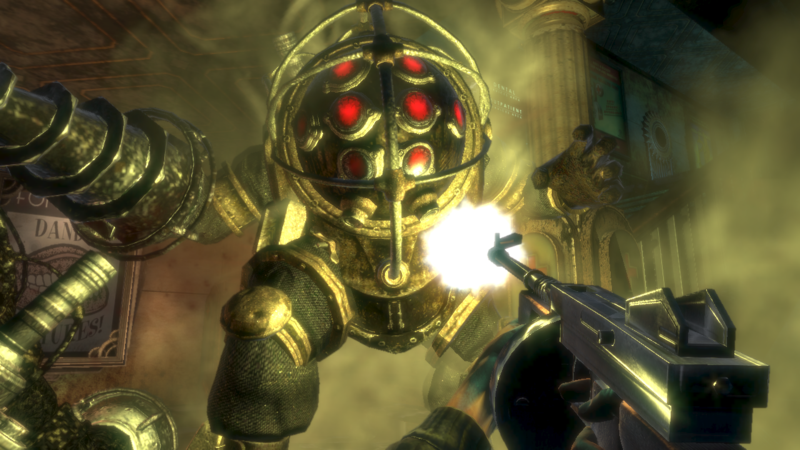 The game Bioshock for instance has a good amount of discussion in regards to its story and world and a lot of the ideas explored can be interpreted in a variety of ways. I look to the world and the ideas expressed and begin to let my mind wander leading to several hours of thoughts and interpretations. Very early in to the game you encounter a women who is one of the splicers, which are the enemies found in Bioshock. The lady is hovering over an empty pram and is muttering to herself in a sad manner, common interpretation of this sequence is suggestive of the women feeling guilt for her actions from killing her own child. Another suggestion could just be a guilty mind of a mother losing her child and the effects that happened that sent the lazy crazy further made things worse for her. Other people in this world have a similar interpretation and the world that is Rapture really is deep and very complex, Bioshock itself leaves a lot of the story details open to interpretation leaving the player in a state that forces them to really consider all that the story potentially offers. A common idea referenced in Rapture is the land is all the pursuit of the advancement of science and the land was created to be the perfect society free of politics and restrictions, again further interpretation goes into play about how Rapture fell into the anarchy it became. As gamers we tend over analyze, but this is a great thing. We get to explore ideas beyond intentions and we feel more connected to the stories with our own ideas. It really comes down to the player and how they want to view the world, and every mind will analyze a different scenario. Overall this is where I hope storytelling grows in the future so we can continue to grow and expand worlds with the many great upcoming ideas. Who knows what future possibilities await. Nice write-up. The Zelda series has truly mastered the art of giving you what you need for an affecting narrative and nothing more IMO. Even down to the voice work. Zelda doesn’t need full voice acting because it gives you a small grunt or noise from each character. Your brain then knows what that character sounds like and imagines everything they say being voiced from there, like when you read a book (except in that case you fabricate a voice). The same goes for story and characters. Zelda gives you brilliant little gems or cues to latch onto and your brain colors in the rest. This is my favorite thing about the series and it’s refined further with every game. LBW’s end sequence is a great example.